A few years ago, monkey bikes were quite popular on our roads, and causing headaches for the police and courts trying to decide if they were motor vehicles or not. A bicycle is defined in the Road Rules dictionary to mean a vehicle with two or more wheels built to be propelled partly or wholly by human power. It includes a power assisted pedal cycle, BUT, does not include a scooter, wheelchair, wheeled recreational device, wheeled toy, or any vehicle with an auxiliary motor capable of generating a power output over 200 watts. The problem with this is, how can the police, and the courts in turn, know if a device has a motor capable of generating a power output over 200 watts? As an aside, now that I look at this definition in detail, I wonder, what’s the significance of the reference to an auxiliary motor rather than any motor? “Auxiliary” means something that provides supplementary or additional help or support. A bicycle with pedals and a motor would seem to have an auxiliary motor fitted. 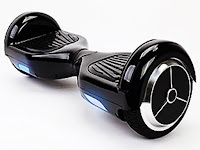 But what about a hoverboard, one of these new two-wheeled self-balancing scooters coming out of China in droves? (If you haven't seen one, check out Casey Neistat’s YouTube clip on them.) That is propelled partly by human power — no human equals no movement — but I reckon it’s arguable the motor is not an auxiliary one. The other part of that definition that is ambiguous is the reference to an auxiliary motor “capable” of generating a power output over 200 watts. Is this restricted to the way the motor is configured at the time of driving, or its theoretical maximum output? What if the motor is “governed” or restricted in some way so that it can’t produce more than 200 watts, even though without that limit it could produce more power? To come back to the 200 watts point...the South Australian Supreme Court recently considered this issue, in what is I think the first appellate decision dealing with this in Australia. In Emerson v Police  SASC 161, Ms Emerson was stopped by a police officer on 3 December 2013 while she rode her bicycle fitted with a motor. South Australia has similar provisions to those in Victoria: a power-assisted bicycle, defined as a pedal cycle with auxiliary motors with a power output of no more than 200 watts, is exempt from registration. The police seized the bicycle — although it’s not clear what power they had to do that — and eventually arranged for it to be tested on a device known as a Dynajet around three months later. That test showed the motor on the bike was then producing about 961 watts of power, and so Ms Emerson was charged with driving an unregistered and uninsured motor vehicle. 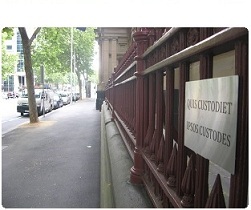 She was found guilty of those offences at the Magistrates’ Court, and appealed to the Supreme Court. The Supreme Court found there was insufficient evidence in the case to conclude that the Dynajet was properly calibrated, or that it was suitable for measuring low outputs of power-assisted bicycles, when its primary purpose was to measure much greater power outputs of motorcycles. The Magistrates’ Court was also wrong in finding that the Dynajet was a scientific instrument that the common law presumed was accurate in the absence of evidence to the contrary. Ms Emerson, who was apparently a motor mechanic herself, testified that she modified the power output of the motor with a thing called a “Venturi corrector”. There was, she said, a brass screw on top of the manifold which secured the Venturi corrector, and had a copper wire with a pressed lead seal with “200 watts” stamped on it. The seal was to stop anyone tampering with the corrector after it was set at a 200 watt limit. Ms Emerson claimed the bike was in pristine condition when the police took it, but the photographs taken (it seems) when it was tested several months later showed it rusted and damaged, with the copper wire and lead seal broken. 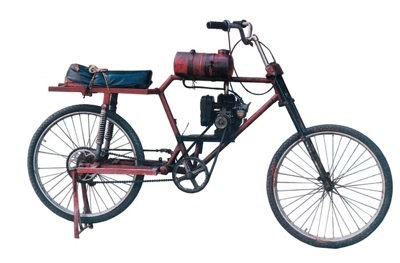 Significantly, although this point about the broken seal (and hence possibility of the motor then producing more than 200 watts) was raised at the Magistrates’s Court, the actual bike was not produced and the prosecution witness wasn’t able to comment on it (to the satisfaction of the Supreme Court). So Ms Emerson succeeded in her appeal. Although this is mostly one of those turns-on-its-own-facts cases, it does show the importance of ensuring the continuity of exhibits where their condition at the time of the alleged offence is important and there seems to have been some change in their condition by the time of any testing. It also shows the importance of experts properly explaining the methods they use and why those methods are appropriate and relevant to the facts in issue. It’ll be interesting to see if this is going to become an issue with hover boards. The Metropolitan Police Service has already hit twitter to declare them illegal in London, but I haven’t seen anything similar in Victoria yet.